If you or your spouse have celebrated your 50th birthday, you've met our basic requirement. Please consider yourself warmly invited to share in the many opportunities we offer through our program. The requirements also include having a FSB checking account. If you maintain at least a $5,000 balance in any combination of deposit accounts, there is no monthly charge. However, if this deposit balance is not met, a $5.00 per member ($10.00 per couple) monthly charge will be automatically drafted from your checking account. Interesting lectures and helpful seminars keep you informed. Enjoy parties, movies, picnics... and more. Your social calendar might get crowded as you renew old friendships and make new ones! 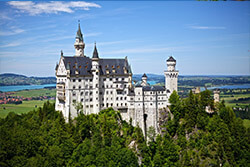 Escorted one-day excursions...or far away destinations. 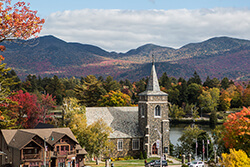 Gems of the Adirondacks and Lake Placid! Plus the Finger Lakes and 1000 Islands of Upstate New York! Join us as we discover the hidden treasures of Upper New York from the Finger Lakes region to Lake Placid during Fall Foliage season. This is a once-in-a-life tour that is designed around the 2020 Passion Play, and we have secured the top tickets available!